The CCS mobile app puts the information you want in the palm of your hand. Our free app is available to anyone in our community who wants to stay connected, with additional features for current CCS parents/guardians and students. *These options are only available to parents/guardians and students of CCS. 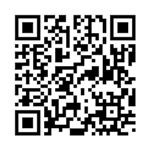 Easily download the app using a QR Code. Parents/Guardians: There are two options for logging into the student information icon. All options require the use of the email you have on file with your child's school. If having trouble logging in, please contact your child's school to ensure you have the correct email listed in PowerSchool. Sign in using the login and password emailed to you. If you don't see the email, check your spam folder. Emails are sent out every two weeks. If you have not received an email containing your login and password, please contact your child’s school. Students: Use your school login credentials. Check the Frequently Asked Questions for detailed instructions on how to customize your app to view only the most pertinent information for your family.